TOMS RIVER, N.J. (WPVI) -- A missing NJ woman was found dead Saturday morning in Toms River, New Jersey. Seventy-nine-year-old Martha Hesse of Mt. 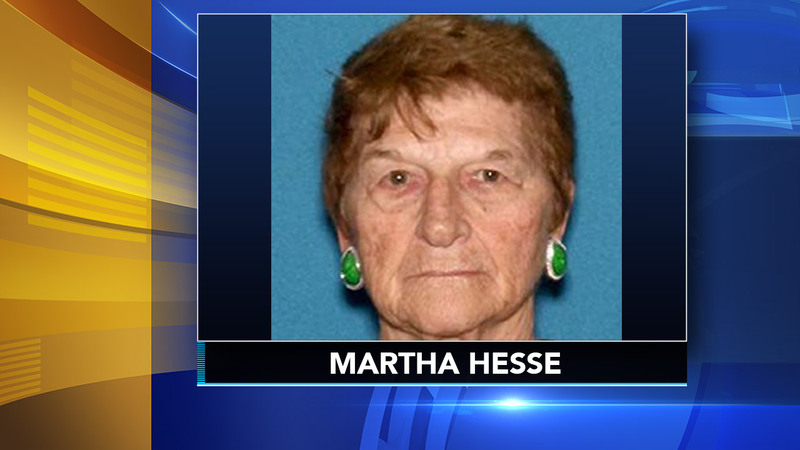 Fairweather Lane was reported missing by her husband on Thursday. Hesse was located around 10:45 a.m. Saturday in a wooded area within the Holiday City Senior Community near the western end of Yorktown Boulevard. Search teams used a flat bottom boat equipped with underwater sonar, a police helicopter deploying infrared thermal technology, as well as 40 additional volunteers from various police, fire, and EMS agencies to help locate Hesse. Toms River investigators spent Friday following up on numerous tips and potential sightings of Mrs. Hesse that came in from the community and social media followers. An autopsy will be conducted to determine the cause of her death, but at this time, police say there is no reason to believe foul play was involved.